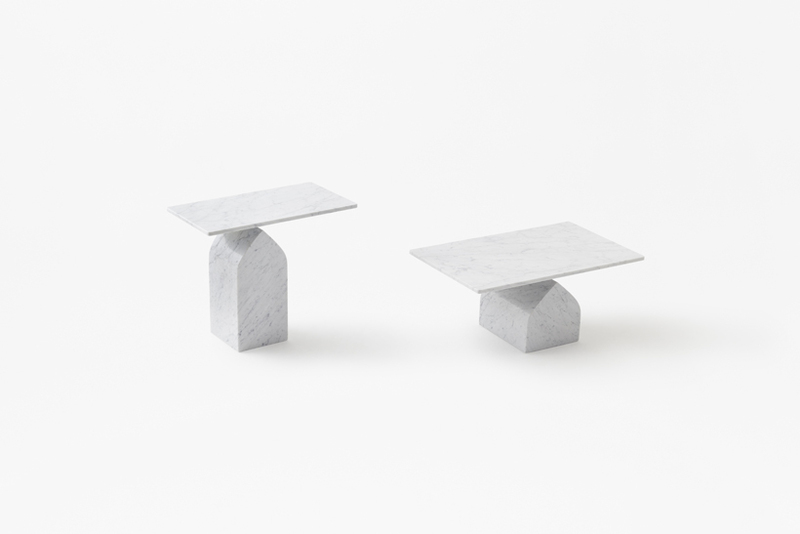 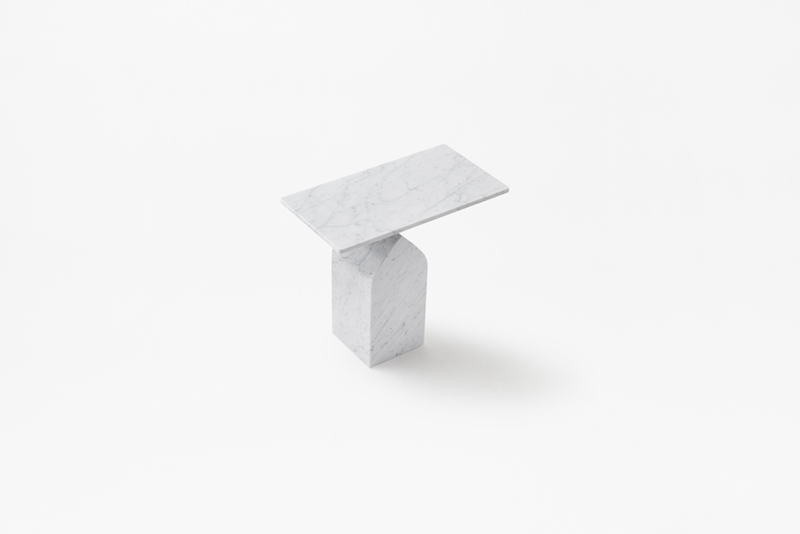 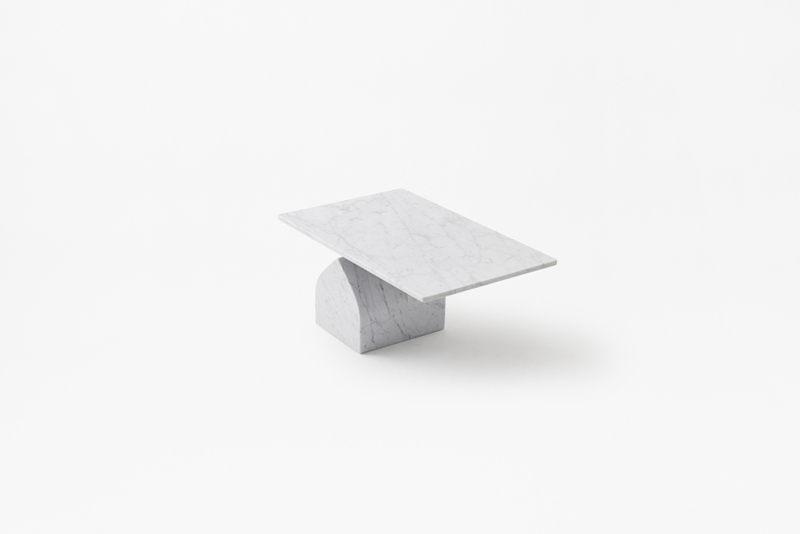 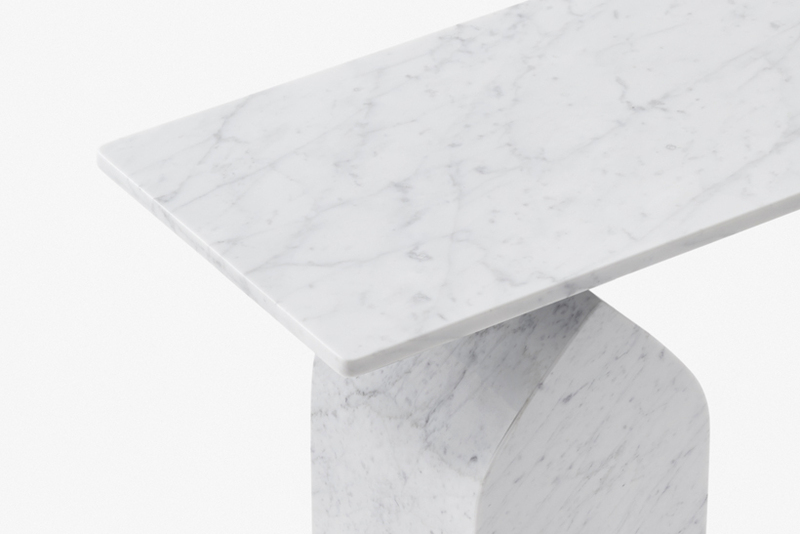 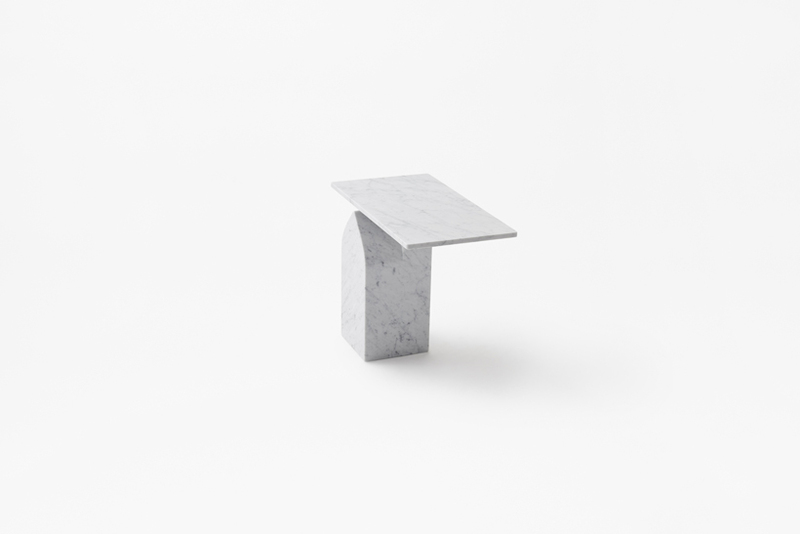 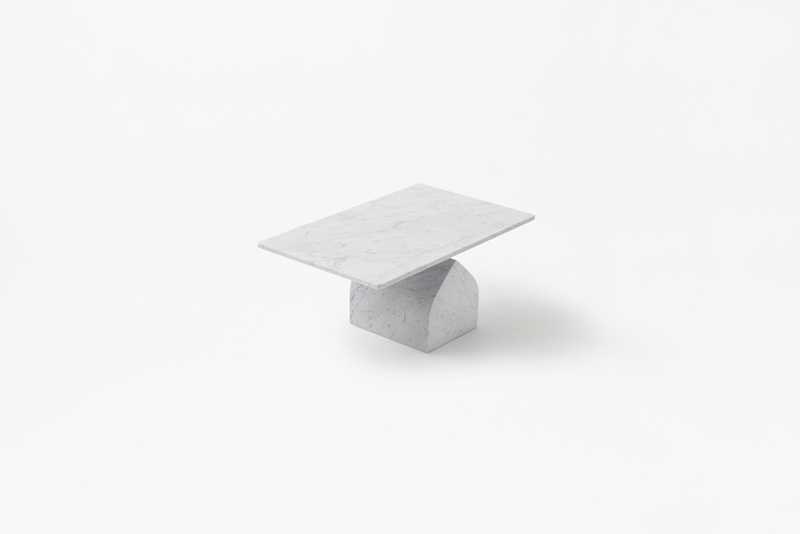 Two side tables and a dining table designed for Marsotto edizioni, an Italian brand specializing in marble furniture. 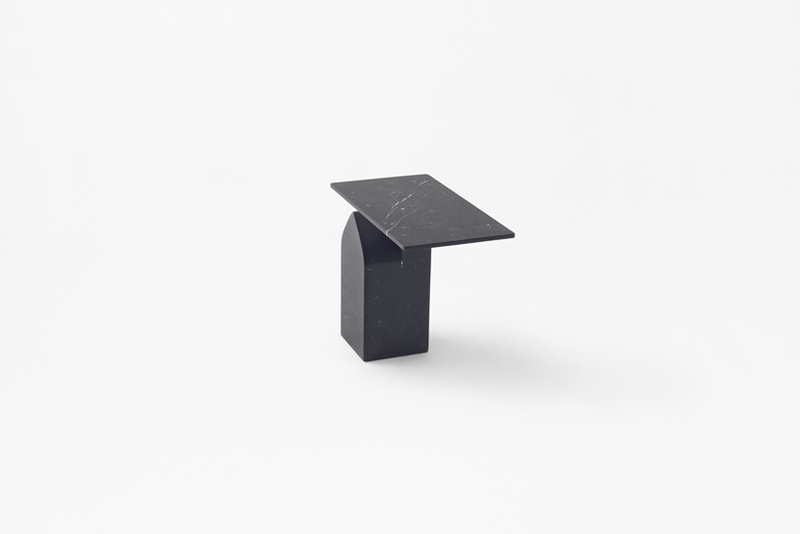 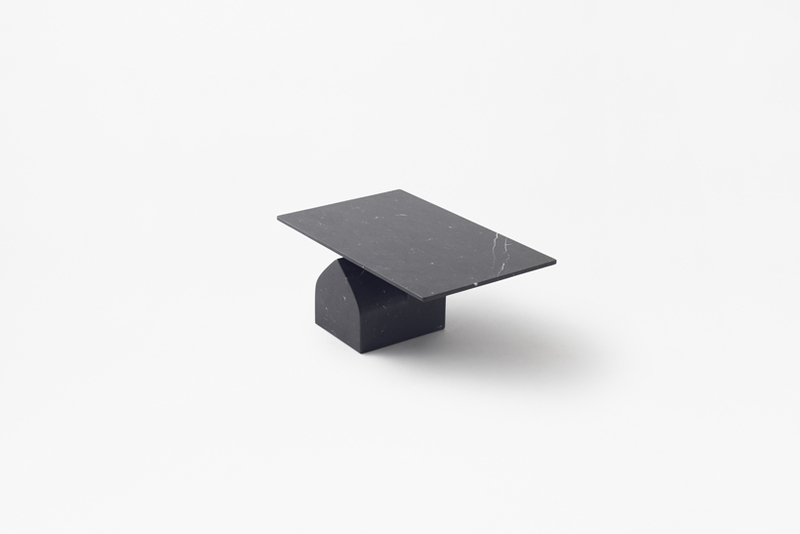 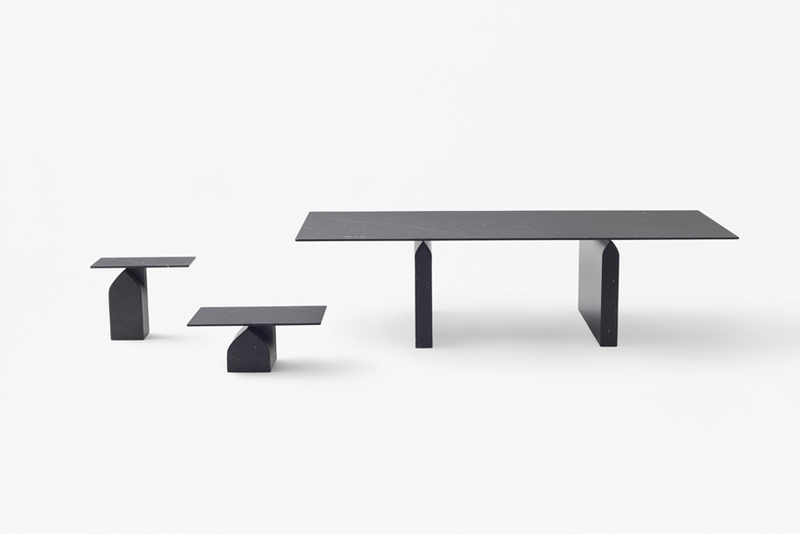 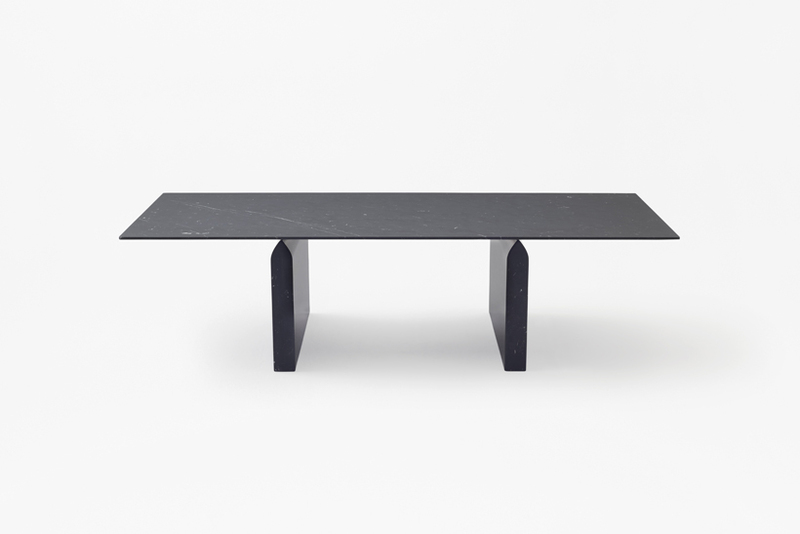 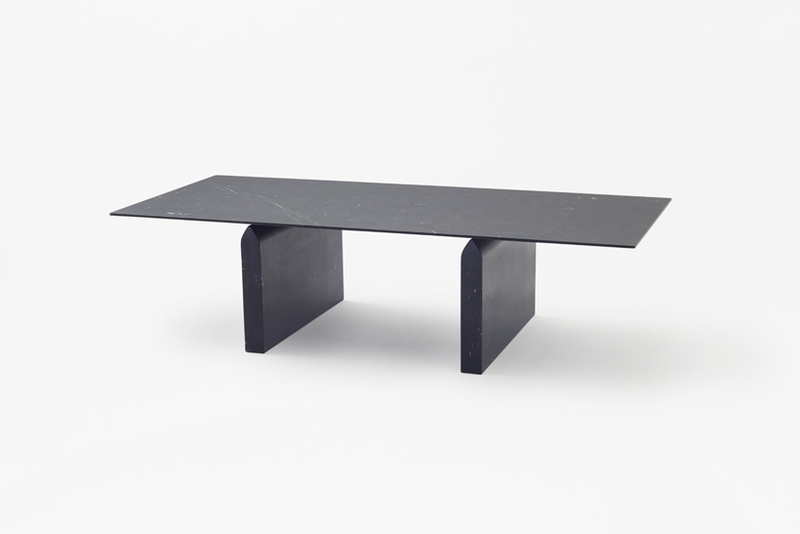 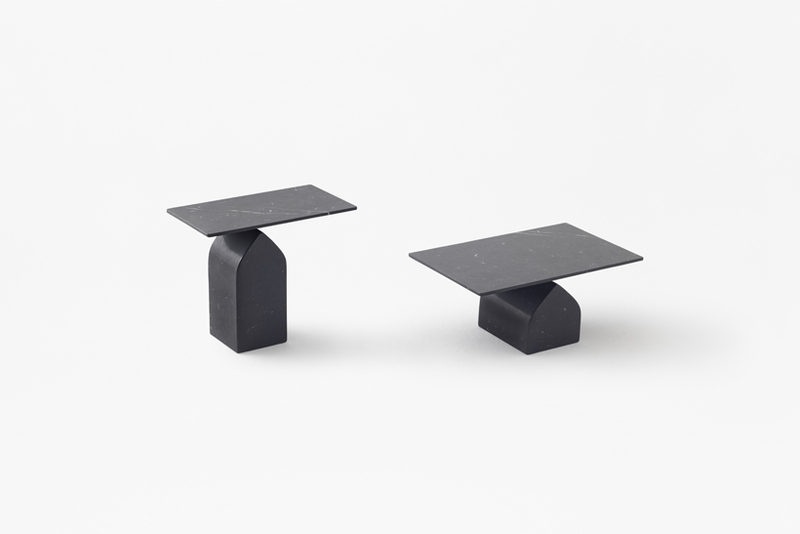 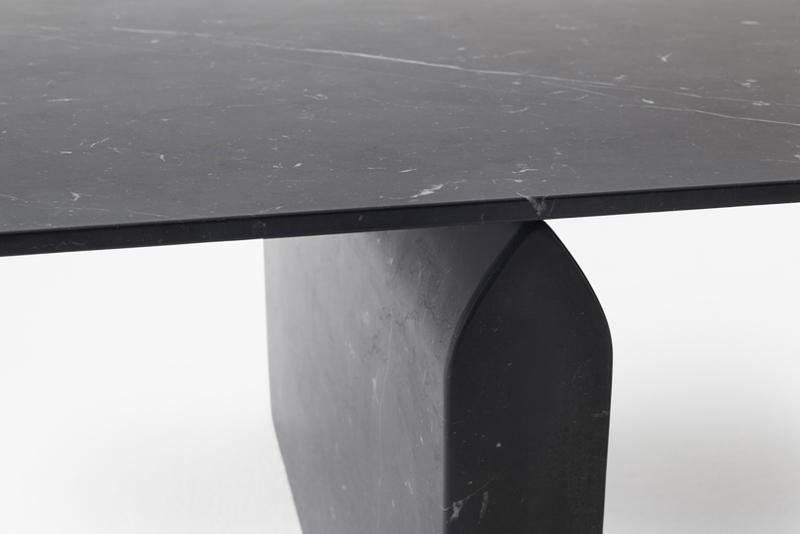 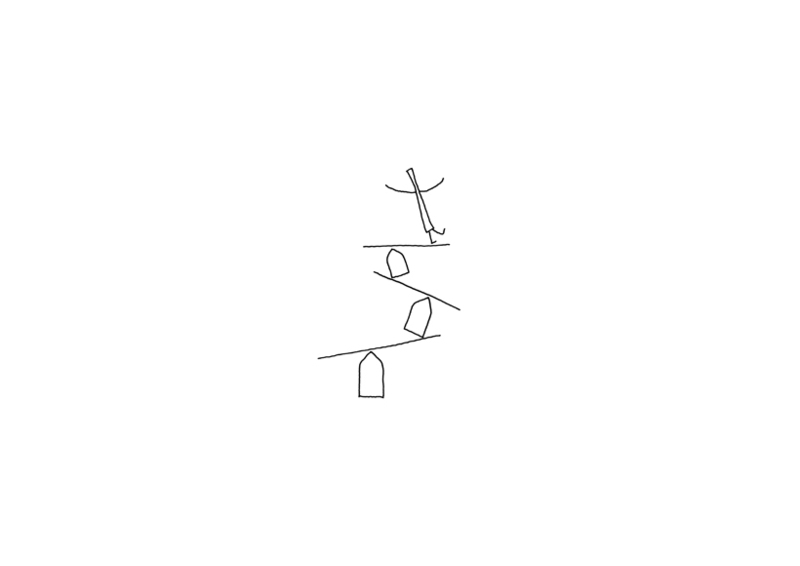 Although the table top and the base are securely fastened together, the solid, heavy top plate seems to almost float above its “pointed” base, achieved by tapering the top of the legs and the underside of the table, it gives the impression of weightlessness. 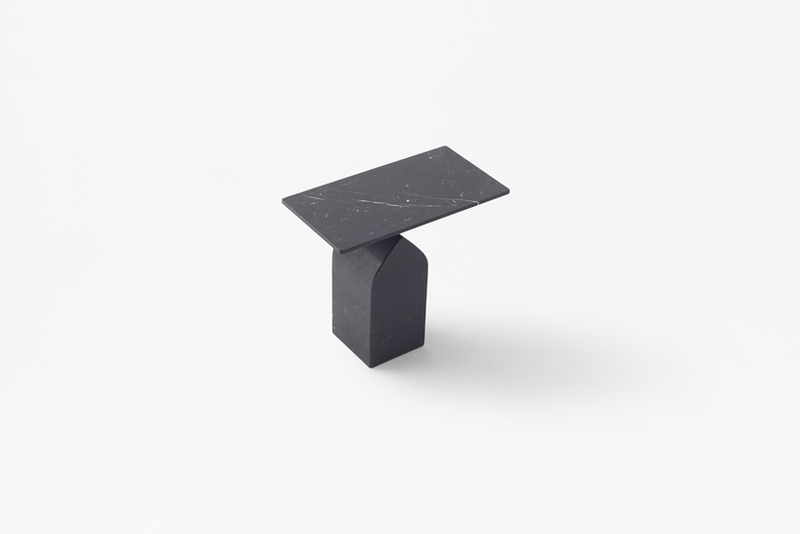 The impression becomes even more distinct as the side table uses the base’s weight to allow for the top to be asymmetrically offset. 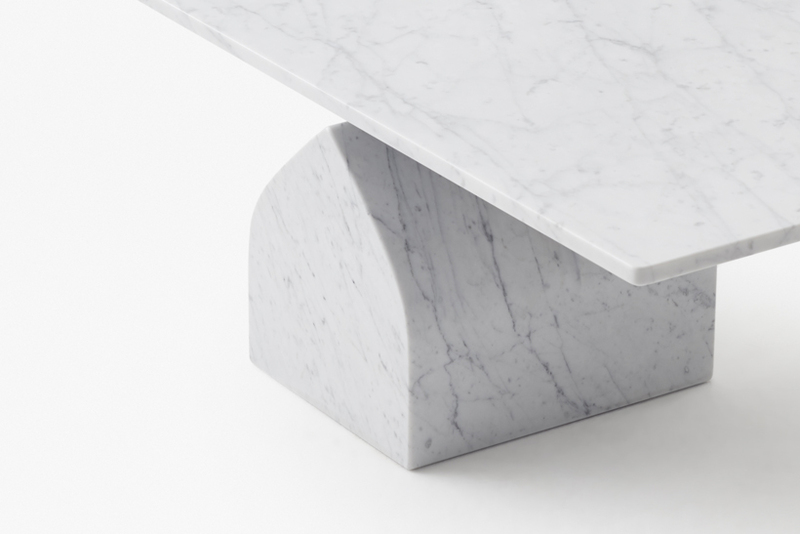 The collection utilizes the material to give off a contradictory impression between the natural heaviness of the marble and the lightness of the design.